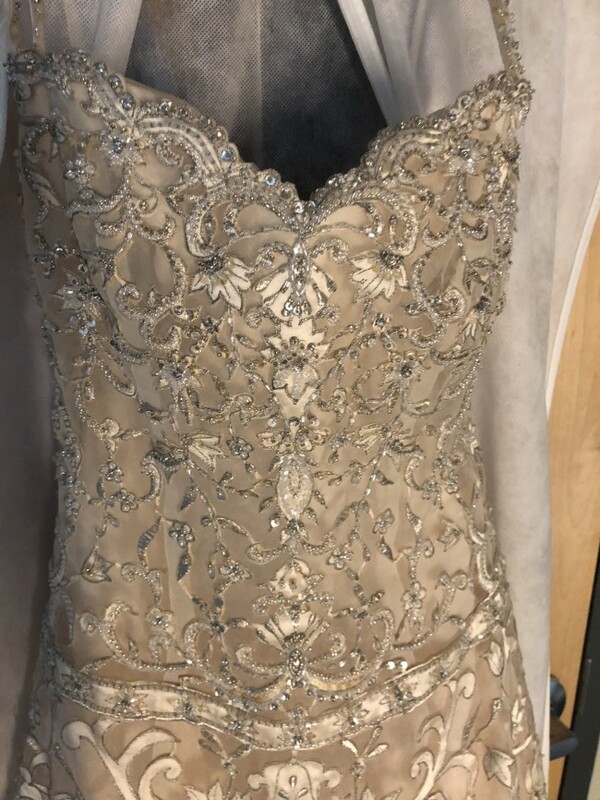 Gorgeous champagne colored organza over satin with embroidery and beading/rhinestones. Lovely scalloped edge at bottom. The dress was floor length on me wearing a 1.5” heel and I am 5’6”. Very comfortable and flattering to most figures! Taken in at waist to achieve size 6 from size 8. Once you send a message, Margarita can invite you to purchase the dress.